The Suffield Farmers Market is up and running for the summer months with vendors offering their wares every Saturday morning from 9 a.m. until noon, rain or shine, in the center of town on the south green (across from the barber shop). If you didn’t make your way to the Market in June, you still have July, August and September to experience Suffield’s Saturday morning “get together”. 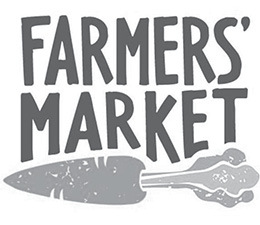 This year there is an opportunity to sign up as a Friend of the Suffield Farmers Market and pledge to get the word out and display the Farmers Market Swag. We have farm themed visors and bags for children as well as a chance to plant something to take home. We’ll be offering tee shirts, aprons and grocery bags for purchase. The Library will have their pop up tent at the Market on June 23 and 30, July 14 and 28 and August 4 with activities for children and books and items to check out on your library card. Come support our local farmers and crafters. We do welcome local nonprofit groups who would like to have space at the Market. Contact Ellie Binns @ elliebinns324@gmail.com or ebinns@suffieldct.gov Call Ellie Binns at 860-668-3848 or 860-668-2781.